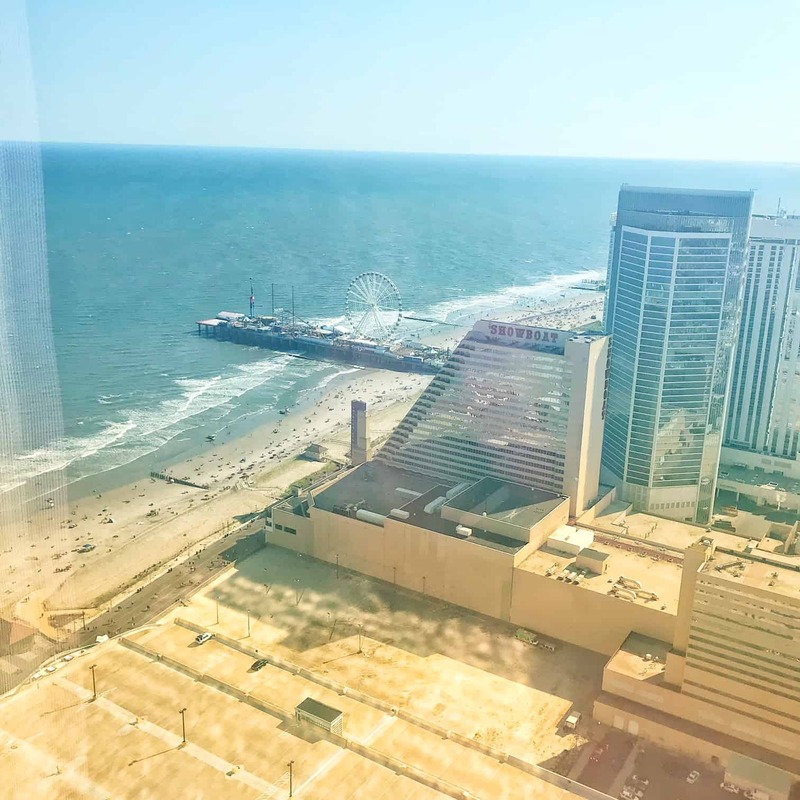 Hopefully you had read my post about how to get 5 free nights in Atlantic City. 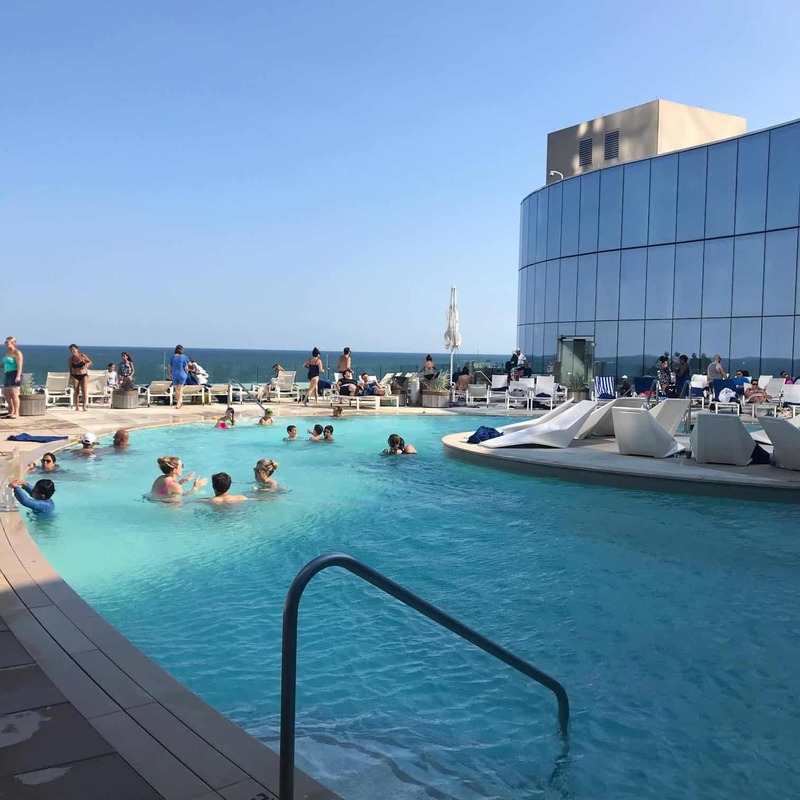 You got three at the Hard Rock and two at the Ocean Resort in Atlantic City – all by status matching your other high-level casino card OR Hyatt Explorist status OR Wyndham Diamond status. That deal is now dead. However, you can still get 5 free nights at Ocean. The World of Hyatt Credit Card comes with a signup bonus offer of 50,000 World Of Hyatt points. They can be used to stay at the Ocean, where a free night (no blackout dates, so this even includes coveted Saturday nights) is just 12,000 points a night. So that welcome bonus alone is worth 4 free nights. The best part? Resort fees of almost $30 a night are *waved* at the Ocean Resort Atlantic City with a World of Hyatt Free Night stay. 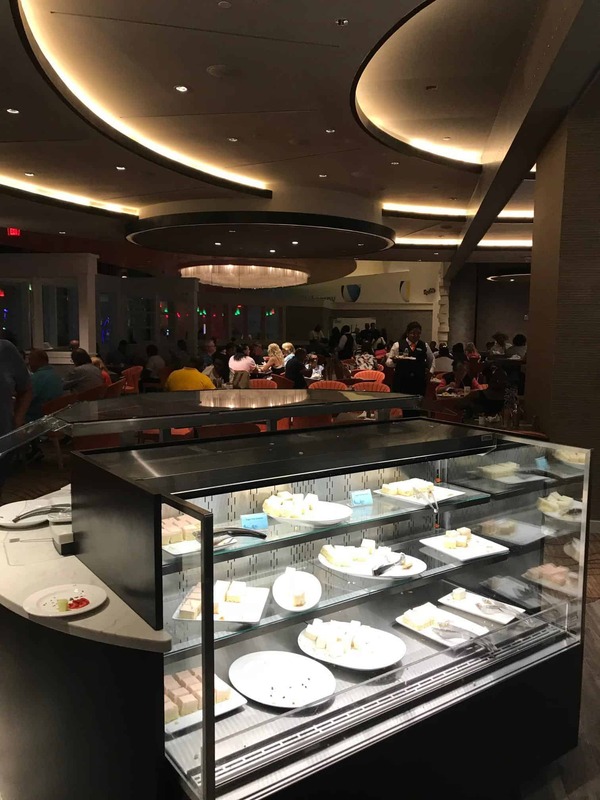 I also wrote more extensively about how to stay free at the Ocean Resort Atlantic City, including other credit cards that can get you the same, or even more, free nights at the Ocean Resort. I was *super* excited to get their Black Card status because their website lists an absolute ton of awesome benefits. But which benefits are really awesome and which just sound awesome. That is what you would really like to know and that’s what I’ll answer here. Remember that, in addition to the below stated benefits, your initial match this summer to Black Card includes two free nights and $100 in free slot play. And everything you get during the match, including the matched rooms and the status itself, all expire September 30th, 2018. That’s a LOT of benefits, right? So which are great, which are OK, and which are useless? To start, parking is free for everyone all summer. And your matched status expires Sept 30th, so that’s a nothing burger. Platinum Tier Celebration Gift: They give you nothing when you match. The woman thought they may email you a link for something, but really nobody knew what. You definitely don’t get this when matching. 2x Comps every day: Self explanatory. This is one of the absolute best perks. 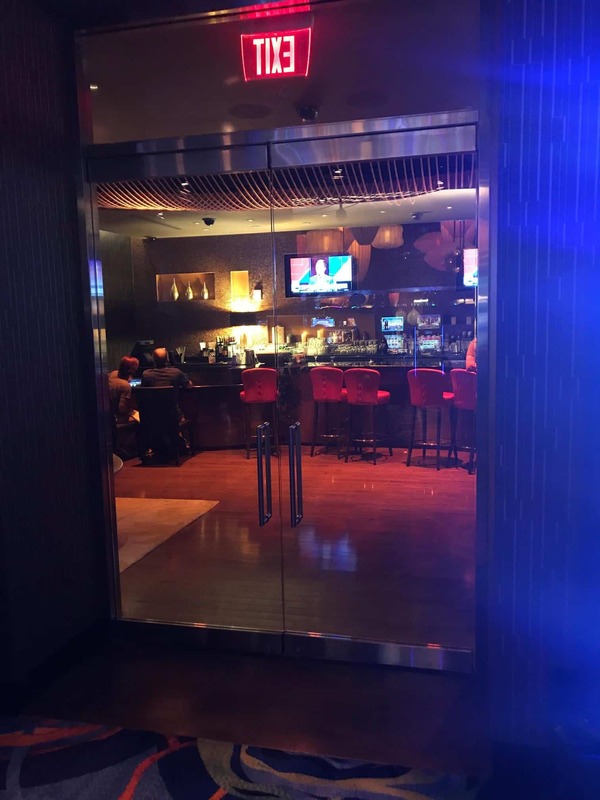 Unlike most casino lounges, including Borgata’s Amphora lounge and Hard Rock’s lounge, where you have to use comp dollars to gain access, Ocean provides free and unlimited access just by showing your card. But you still need to know some things. 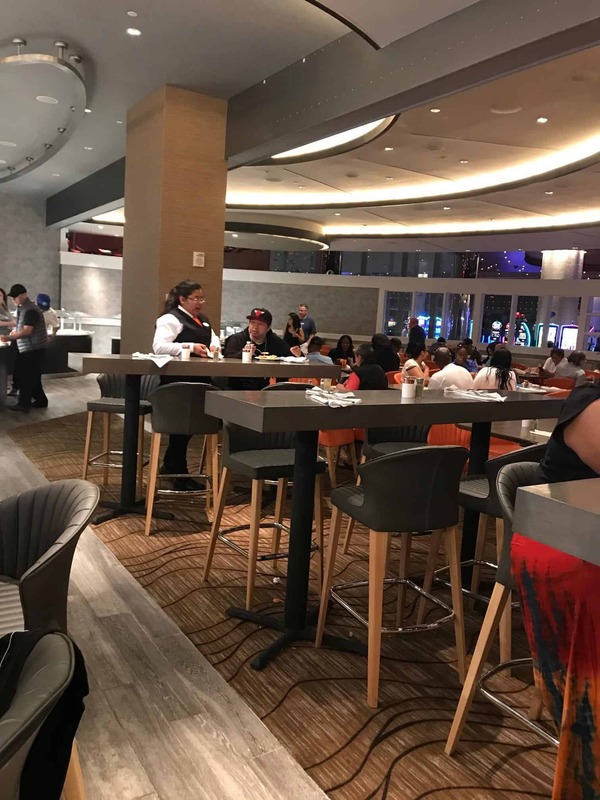 There are TWO Player’s Lounges. One, close to the main escalators, is for Platinum and Black card holders. 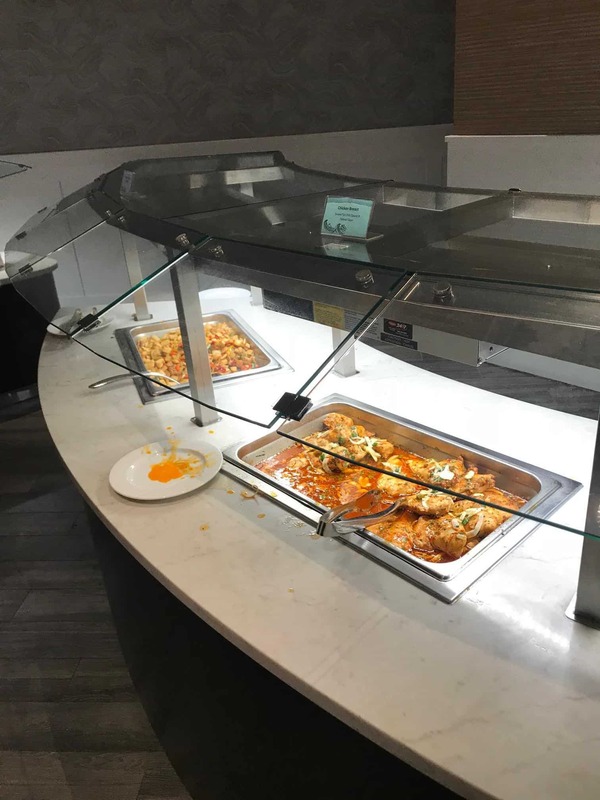 This one is large and has several entrees out in buffet style warmers. 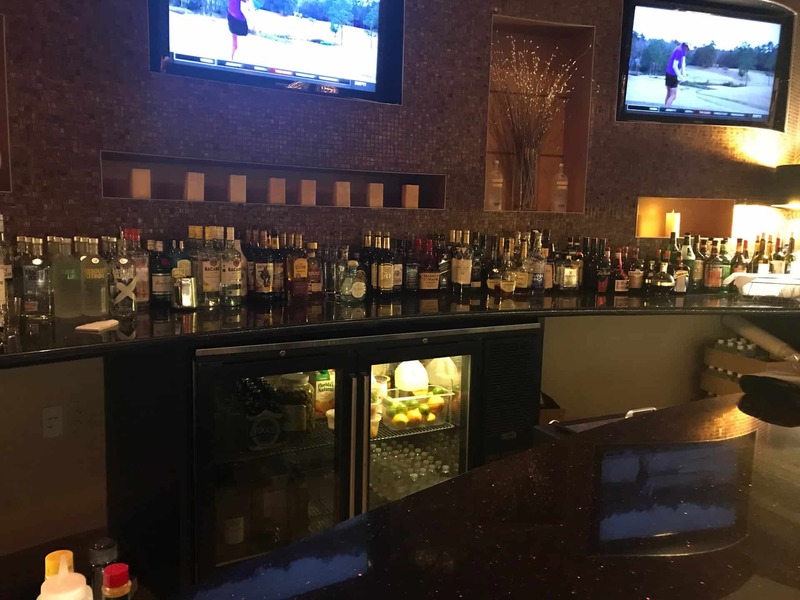 It also has a full bar. In fact, the night we went we were surprised when we asked for an espresso martini and he was ready and willing to make one. But it’s also PACKED. We were going to go for a late afternoon snack on Saturday but the line to get in was 50 deep. 1 out, 1 in. We went back around 9pm (it closes at 10) and walked in no problem, opting to sit at the bar. That is when I took this picture, so it was calm then. The food was “ok” – about what you’d expect, I guess, unless you really expected the lounge to have an exclusive feel. It really felt more like a run on the bank. Note that this will definitely change when all of the summer status matches run out – but that’s probably the only time you’ll have a Black card anyway…. But I have a secret. There’s another lounge just for Black Card holders. It’s inside the High Limit Slot area and it’s otherwise unmarked. You kind of have to know it’s there. 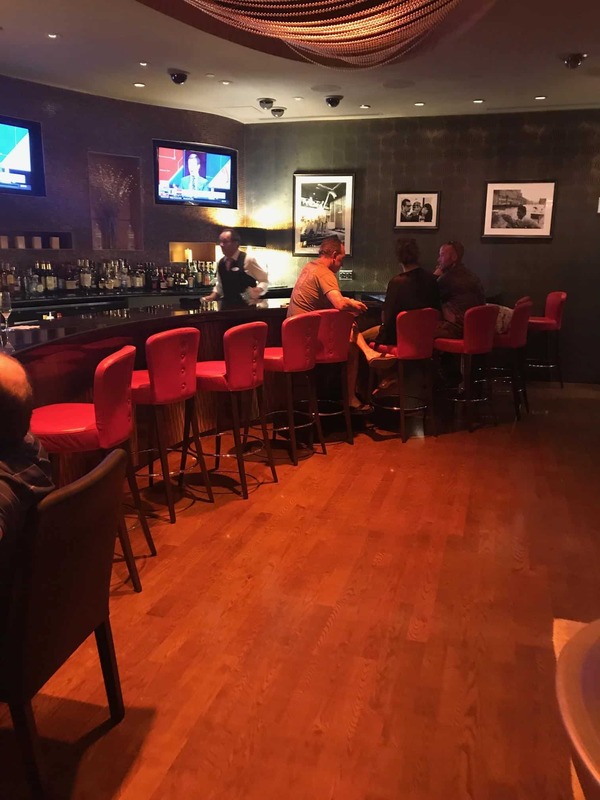 This second lounge is smaller, more intimate, has a sleek bar for drinks, and some light bites. The light bites were, in my opinion, pretty lacking. Nothing hot. So I’d say this is the lounge to come to when you just want drinks. It did get crowded but not TOO crowded and there was never a line to enter. You just show your Black Card to the gentleman outside the door. 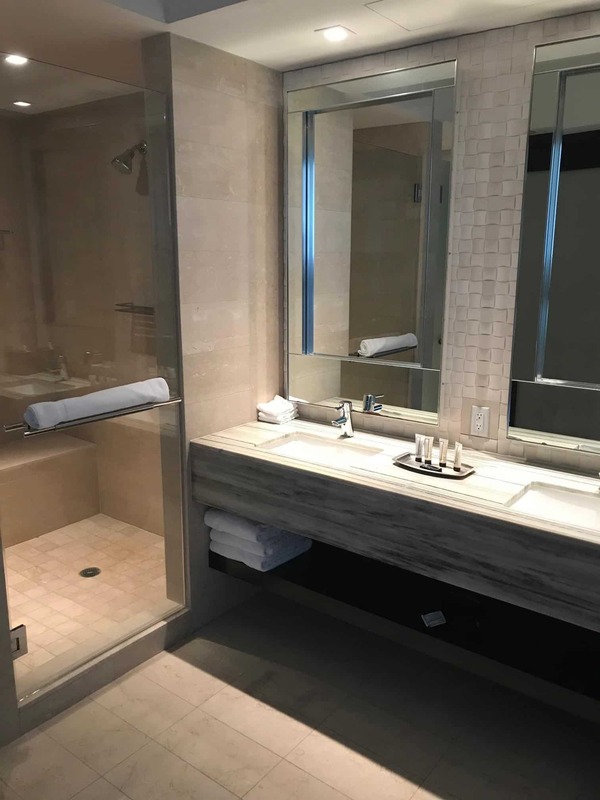 Suite Upgrades: In theory, both Hyatt Globalists and Ocean Black Card holders are eligible for free and unlimited upgrades to Suites. In practice, I think that with the volume of Black Card matches, you can only expect an upgrade Mon-Weds. They will be nearly sold out or sold out every weekend all summer and that doesn’t leave space for upgrades. I was more hopeful in advance of my trip but seeing the sheer volume of Black Cards (via matches for the most part) I can see why this isn’t the case. Priority lines at Cage, Dining, Rewards Center, etc: There were no priority lines set up. VIP Check-in: Black Card holders and Hyatt Globalists can check in at a private reception area (very small and sleek with chairs to wait) or a special line at check-in. The general check-in line was hundreds deep and we were told over an hour long. On the way out, my girlfriend remarked that once I lose Black Status, she couldn’t imagine having to wait on that line. Me neither. So this is a REAL benefit that you don’t even realize in advance how good it is. Free Show Tickets: The person that gave me my Black Card thought I’d be emailed offers. She definitely had no show tickets to offer and didn’t really know how that is fulfilled. Hotel Turndown Service: Maybe they did this? I don’t know. Certainly didn’t notice. Ocean Resort Casino Dedicated Marketing Executive: I was not given contact info of any marketing executive. Perhaps I’ll get a call or email later. Waived Resort Fees: If you are on a Hyatt award, they are also waived, but if not, this is a nice benefit. I believe the resort fee was $29.99. Missed Benefit Opportunities? The biggest missing benefit that should have been obvious to the casino is a pool area for Black Card holders. There are three pools, but one is for a day-club (at a fee), one is small and also only for a fee ($300 and up), and one is for everyone else. 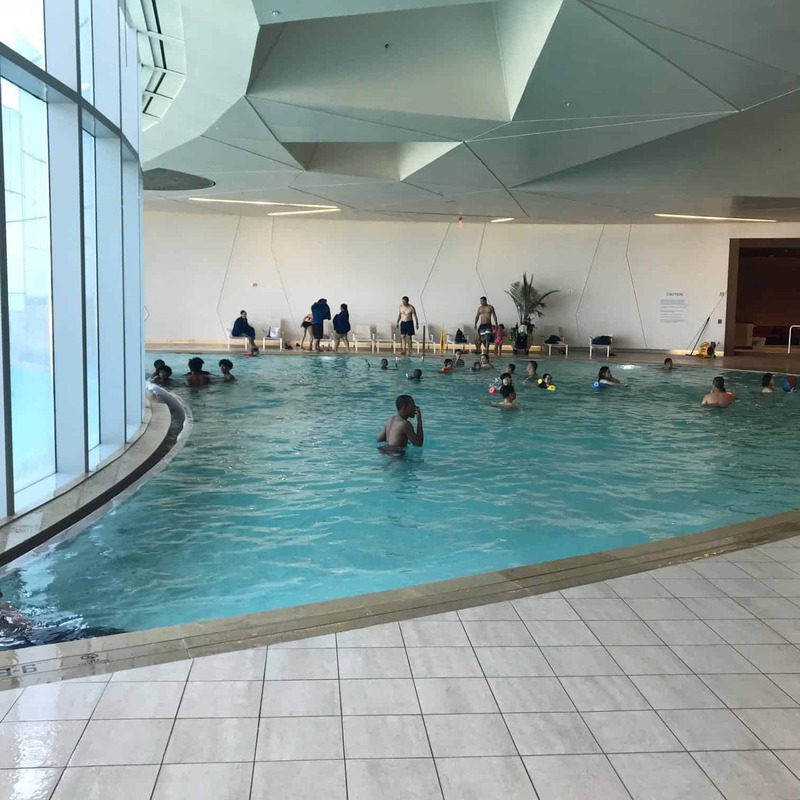 That is the nice indoor/outdoor pool in the pictures below. But it was mobbed on Saturday. Easy fix? 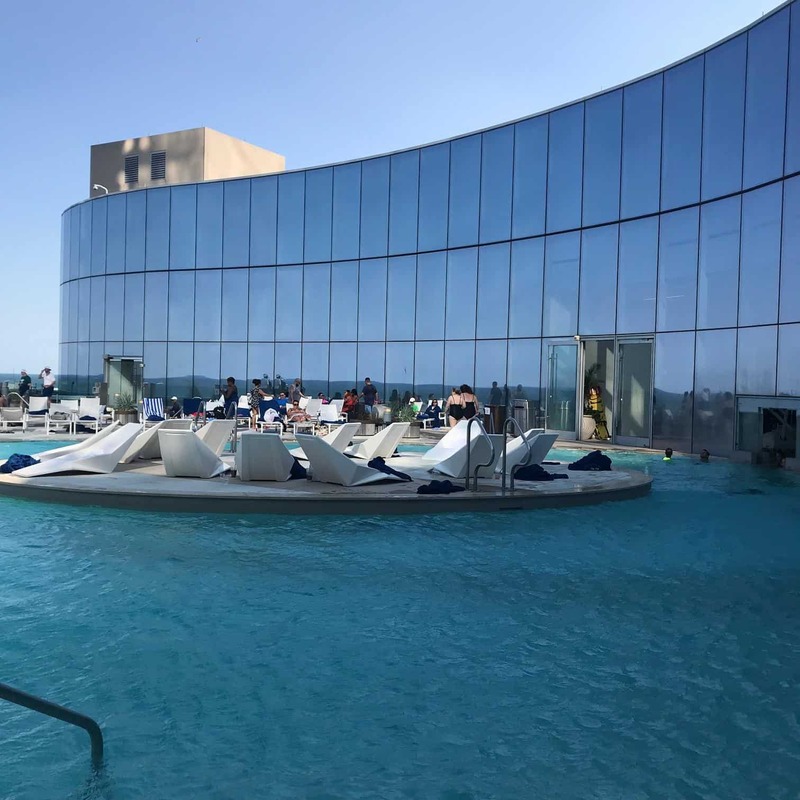 Black card holders could either get access (but not a cabana) to the small pool with the cabanas and daybeds as well as a discount on the rentals or they could negotiate a deal for spa access at Exhale for Black Card holders (that costs $55 as a guest or $70 as a non-guest). Better food at the Black Card only lounge would have been nice as well, so Black Card holders could avoid the zoo of a lounge for Platinum/Black card holders. The lack of a suite upgrade, though, is pure capacity so that’s not a failing and I bet changes a lot once the match period expires. I’d also suggest a line for Platinum card holders / Hyatt Explorists at check-in because there is nothing there in between Black/Globalist and nothing. 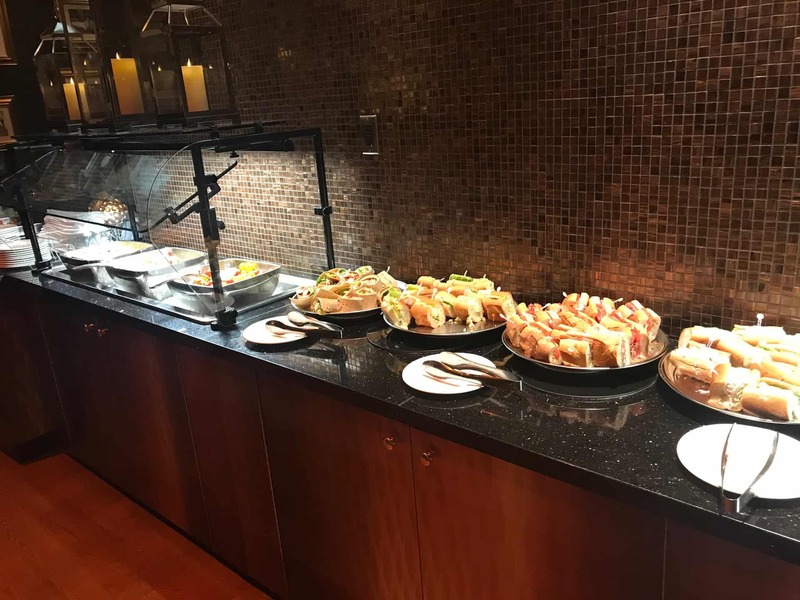 VIP check-in, Lounge access with free food/drinks, and Suite upgrades when available. 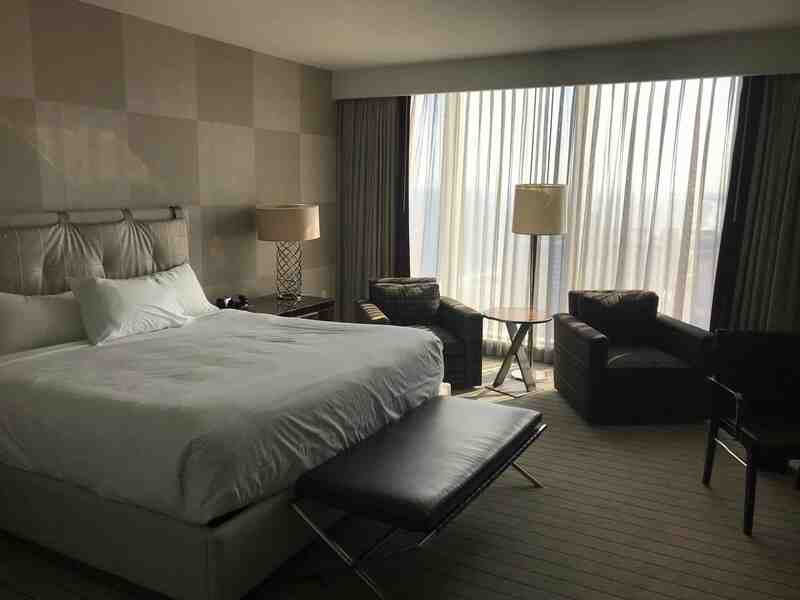 Below are pictures of a standard room at Ocean along with shots of the pool. You can go here to book a room at the Ocean Resort Atlantic City using either cash or points. 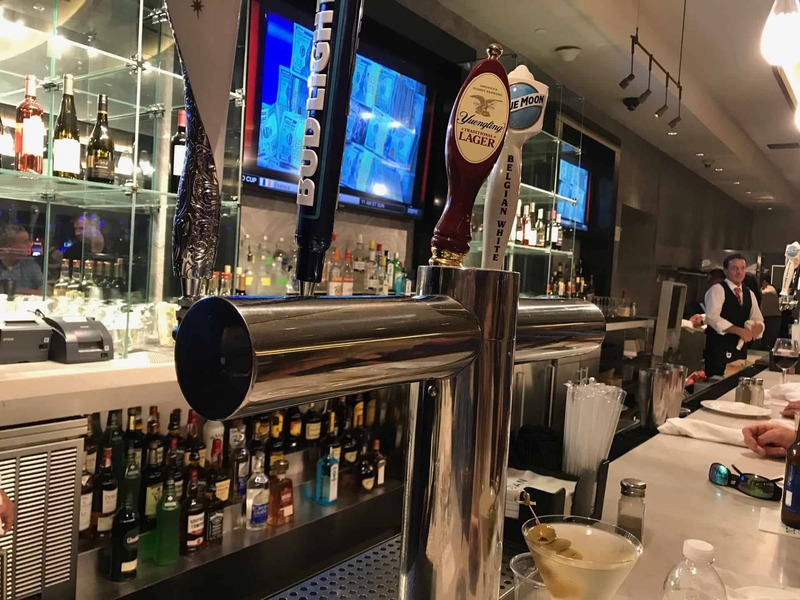 Have you matched to Black Card at the Ocean Resort Casino? Let me know here, on Twitter, or in the private MilesTalk Facebook group. Thanks Dave. A couple of comments…. First, I called Ocean myself before this was written, and they confirmed with me that the 2 free nights don’t technically have an expiration date. According to the CSR you can book them for whenever. I asked if I could book a year out, she responded that she doesn’t understand why I would, but sure. I plan to call back and verify (get the same info) from another rep or two. If they say the same, then I’ll believe it (maybe try calling as well Dave?). Second, re: the status expiring. According to the same CSR I spoke to above, they are planning to discuss options internally about that soon. She indicated that they had not made a decision on what to do and it sounded as if she thought they may be extending the status further. Hello! Thanks for the comment. To your first point, it may be that you have to “use” the free nights by Sept 30 as in book them, not consume them. And for the status expiry, when I called I was told the same thing (that they hadn’t determined) but then in person each person I spoke to ALL said that the status would expire Sept 30. So I think the answer is that different people are being told different things. I think the wise thing would be to plan on it expiring Sept 30 and, if it doesn’t, then great!! 2x comps just means that you earn comps twice as quickly. If your play would have earned $1 in comps, you will get $2 in comps. Thanks Dave! I am a major novice with casinos in that this is my first time EVER with an elite status…. How do comps actually work? I don’t really understand…. How do you earn a comp? That’s true with other casino card offers but not these. It’s loaded on your card immediately and expires within I think 24 hours. Maybe 3 days. Can you explain what expires ? I received a black card when I played there in the first week of opening, the status is going away? Hey Steven. The status and comped rooms expire Sept 30th. I personally think they should extend that status through end of year but so far all indications are that it will be Sept 30. Hi Lisa, I was on-property at Ocean yesterday and was told my status would expire by midnight. I spoke to a few people over the weekend and all said that our new tier 0. would be whatever we earned over the summer and through Sept 3. Where did you hear otherwise? I’d love it if they decided to extend. Is the black card I received physically different then the new ones they will issue? Meaning how do they know I have an old black card that expired ? I haven’t picked up my new Platinum card yet (what they downgraded me to) so I don’t know if new cards have expiry dates. That said, you won’t be able to get any benefits with an expired card. Every benefit requires a swipe of the card and the programming of your level is what it will see, not the color of the card.